Did you know you can use your UoN Sport and Fitness membership when you leave Nottingham this summer? As a member of the BUCS Universal Gym’s you can go to your nearest participating gym without having to pay a penny. So there’s no need in paying membership fees to other gyms elsewhere, we’ve got you covered. All you have to do is collect your BUCS Universal Card from your UoN sports centre reception before leave Nottingham. Has the comfort of you mums cooking got you packing your bags to head home for the summer? Or is it a 10 weeks of guaranteed washing? With 71 Universities participating you are likely to find a centre that fits your summer fitness needs around your mum’s mealtimes. Have you managed to bag yourself a top internship in the big smoke? There are 6 participating gyms in central London and more in the suburbs. If you fancy enjoying big city life, don’t set yourself back buying a membership when you’ve already got one! Aiming to play for #GreenandGold in the 19/20 season? 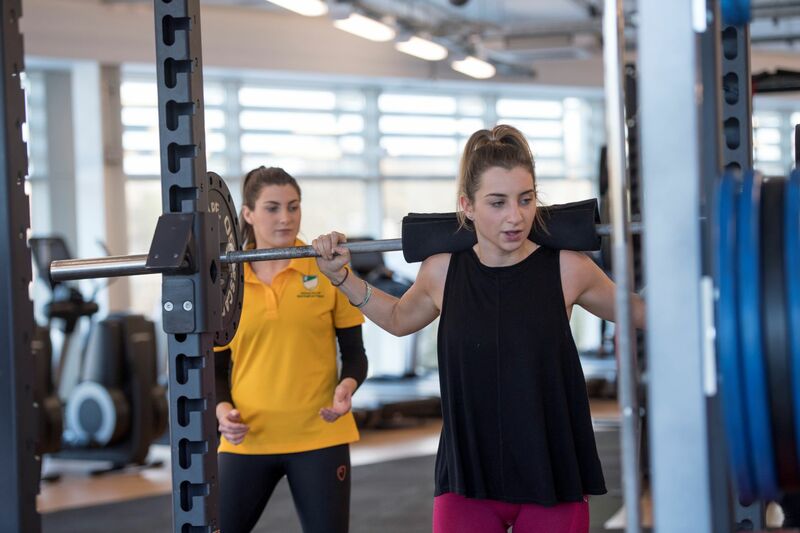 If you’re feeling inspired by BUCS Big Wednesday and fancy joining the #GreenandGold next year, keeping yourself fit over summer is only going to increase your chances. If you attend a BUCS Universal gym, staff will understand the BUCS programme and help you achieve your goals. Have you got friends travelling all over the world and your left with the glorious English summer? Make friends from other universities with the BUCS Universal membership, they might also be looking for a workout buddy this summer. BUCS universal gyms will have similar standards as they are all associated with a University. This might mean you already know how to work the equipment and don’t feel like a newbie again. A change of scenery can also do wonders for your motivation. If any of these scenarios sound like you this summer, make sure you head to your nearest UoN Sport Centre to collect your BUCS Universal card, this is included in your membership. You can find a full list of participating gyms here. Still need to purchase your UoN membership? Our recent price drop means you can get membership for only £108 until 31st July 2019, purchase yours here.